Bluetooth speakers are an incredibly handy thing to have. They’re very portable, pretty stylish, and thanks to the ever improving small speaker technology, are capable of some pretty awesome sound. And good news is, you don’t have to pay an arm and a leg for one either. With the likes of Aukey, Sony and JBL creating their own mini audio masterpieces, we’ve put together a list of the best speakers under £50 that’ll make you a hit at gatherings and parties. The best Bluetooth speaker will combine exceptional music quality with a great price. Our top pick, the Aukey Eclipse, is a fantastic alternative to the Bose Soundlink Mini II because it costs just a quarter of the price, yet still promises to deliver the rich bassy sound of a much bigger speaker. Before you buy a Bluetooth speaker, consider additional qualities such as waterproofness, especially if you’re looking to take it camping with you–great British summer equals rain. Battery life is also important– most have around an 8-12 hour battery life, but you have some exceptions like the Lava BrightSounds 2 which promises to deliver up to 32 hours of charge and doubles up as a power bank to boot. If it’s sound quality you’re after, this Bluetooth speaker ticks all the boxes. Thanks to 2x10W drivers which promise to deliver rich base, the Aukey Eclipse should deliver a room-full of sound for the ultimate party piece. Users commend the quality of the sound, with many commenting on its clarity at even the highest volume. On the outside, the speaker is stylish and features an easy to use control panel for connection and input modes. Featuring a dimmable LED base and battery with a 36 hour run time, this is the perfect speaker for campers. Whether you’re using it to blast your favourite playlists, find your way across the campsite or charge up your phone, the Lava BrightSounds 2 is definitely a campsite essential. In addition to its main features, the speaker is water resistant – so it won’t mind getting caught in the odd shower – and it’s available in a wide range of colours, making it a great accessory, too. Featuring 360 degree audio and a base that is raved about among reviewers, the Ultimate Ears Roll 2 is certainly a great buy for sound alone. Factor in the fact that it’s waterproof and shockproof, and you have the ultimate adventure companion. Whether it’s swinging from your backpack or floating next to you in the pool, this speaker covers all the bases when it comes to functionality, making it well worth the spend. There’s five funky designs to choose from, too. With a bass that has users talking and a powerful 10W speaker for deliverance, the Sony SRS-X11 is certainly worthy a place on our list. Pair it up with another one of its type and it produces stereo sound, great if you’re watching a movie on your tablet or laptop or if there’s a party at your place and you want the fill your room with music. Available in a range of funky colours, this Bluetooth speaker makes the ideal bedroom accessory, as well as a speaker that you can take out and about. JBL is renowned for producing small speakers that offer great value for money, and the Clip 2 is no exception. 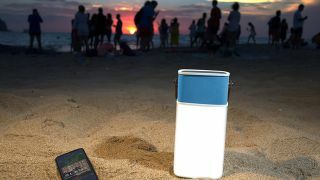 Featuring an audio jack so you can save battery power on compatible devices (Bluetooth does use up a fair bit of juice) and a handy clip that you can use to attach onto your backpack or even your swimming shorts (it’s waterproof), this is one of the best Bluetooth speakers for travelling. You can also connect two Clip 2s together to create stereo sound, which is great if you’re having a gathering. Robust, waterproof, and featuring cool bits of tech for base and volume, the Creative MUVO is good choice for parties. It’s the only Bluetooth speaker on our list that features NFC connectivity, which is a faster and more efficient way of hooking up your device. With an aux-in option to extend battery life and a built in microphone for taking calls the Muvo Mini packs in a lot of features for the money, and users certainly agree. Lightweight, waterproof, shockproof, long battery life– there are plenty of features that make this Bluetooth speaker well worth the money. While it certainly doesn’t feature the highest wattage – our top pick, the Aukey Eclipse delivers a total of 20W of power compared to meagre 3W – it’s price and bonus features certainly make up for it. And if you’re planning on going travelling or adventuring, you may want to keep things as cheap as possible anyway.